Shot Of The Night is Off Base Percentage's toast to a player who had an exceptionally good or bad night. There's always a reason to drink. Last night's shot of the night was a Tiger Jack: 1/2 shot grenadine syrup, 2 shots Jack Daniel's® Tennessee whiskey, 1 shot triple sec, orange juice. Apparently, SotN's posting time is directly related to where I find my keys in the morning. Yesterday I posted this segment at 5-ish and my keys were in the bathroom. Today, we're up and at 'em before noon and my keys were merely on my bedroom floor by the door. If I ever miss a SotN, feel free to assume my keys were on the roof and I was in the hospital. Where were we? 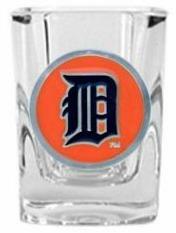 Oh yeah, the shot of the night was in honor of Miguel Cabrera. Miggy went 3-6 with 2 homers and 3 RBI while the Tigers took an 8-6 loss to the Rangers in 14 innings. If I was a betting man (and I am, I think I bet on a Saved By The Bell movie being made last night, original cast), Miguel Cabrera would be my choice for 40+ home runs this season. In fact, Miggy might have a real shot at the Triple Crown which Derwood pointed out earlier. Cabrera now has 24 home runs and 82 RBI to go along with a .340/.418/.645 slash line. The scary part is that Cabrera is just 27-years-old and probably just reaching his peak years. For a point of reference, let's take a look at Albert Pujols. Widely believed to be the best hitter in baseball, Pujols went 2-4 with a homer and 3 RBI last night. Pujols has 22 home runs and 67 RBI to go with a .310/.413/.578 slash line. Miguel Cabrera (3.8 WAR) is basically a younger Pujols (3.6 WAR) right now. Labels: albert pujols, miguel cabrera, MTD's obsession with WAR, shot of the night, tigers, where are my keys? What's Wrong With You America? That Monkey Is Playing Baseball! Could This Be a Triple Crown Year?